The above photo shows our plumbers and team members accepting the Toast of Music City Readers’ Poll Award for Best Plumbers—Thank you to all our friends, fans, and customers for your votes of confidence in our local company. When searching to find a plumber or HVAC repair company in the Nashville, TN area, we want you to feel confident and comfortable in your decision when you choose us. At Morton Plumbing, Heating & Cooling, our plumbers and HVAC technicians are professional, polite, and treat your home with the utmost care. 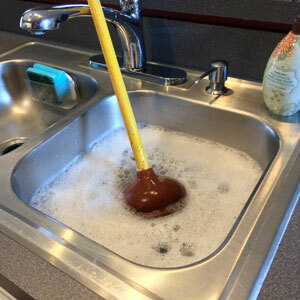 Our licensed, bonded, and insured repair techs are experts in the areas of plumbing, air conditioning, and heating repair, including hot water heaters, sewer lines, backflow preventers, pipe leaks, drain clogs, air conditioning units, heating systems, heat pumps, air ducts, and exterior utility work. Our utility work includes professional installation of sewer, water, and gas lines or repair of the existing ones. Our plumbing team is committed to learning as much as they can about the specifics of your problem, before sending a repair truck out to your home or commercial company. Our plumbers and HVAC team have a passion for service that translates into an outstanding level of quality repairs and installations. We do not work on commission and don’t have the incentive to upsell you on services and products you may not need. 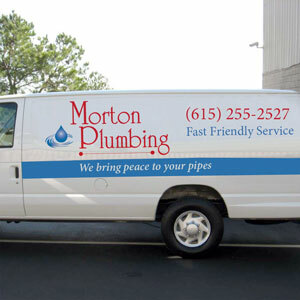 Morton Plumbing, Heating & Cooling is based in Nashville, TN and offers general and complex plumbing work and HVAC unit repair services, pipe repair, hot water heater repair (tankless/gas/electric), sewer and drain cleaning services, installation of backflow preventers, clog removal, faucet replacements, installation of gas/water/sewer lines, residential and commercial company services, toilet repair, kitchen disposal repair/replacement, air conditioning unit repair, heating system repair, air duct work, heat pump installation and more. Whether you have a gas, electric, propane or tankless water heater, at some point it will need to be repaired or replaced. Regular maintenance such as draining the tank for most water heaters can really help. Tankless water heaters require different maintenance processes, such as flushing and removing lime scale. We service and repair all brands of hot water heaters including Rheem, EcoSmart, Bosch, Rinnai, AO Smith, General Electric, Whirlpool, and others. Considering Going Tankless? Learn about the benefits of a tankless water heater. What differentiates us is simple: It is our team. Our office staff, HVAC techs, and plumbers along with our commitment to our customers are what set us apart from other companies. We love helping Nashville residents and business with their plumbing and HVAC issues. 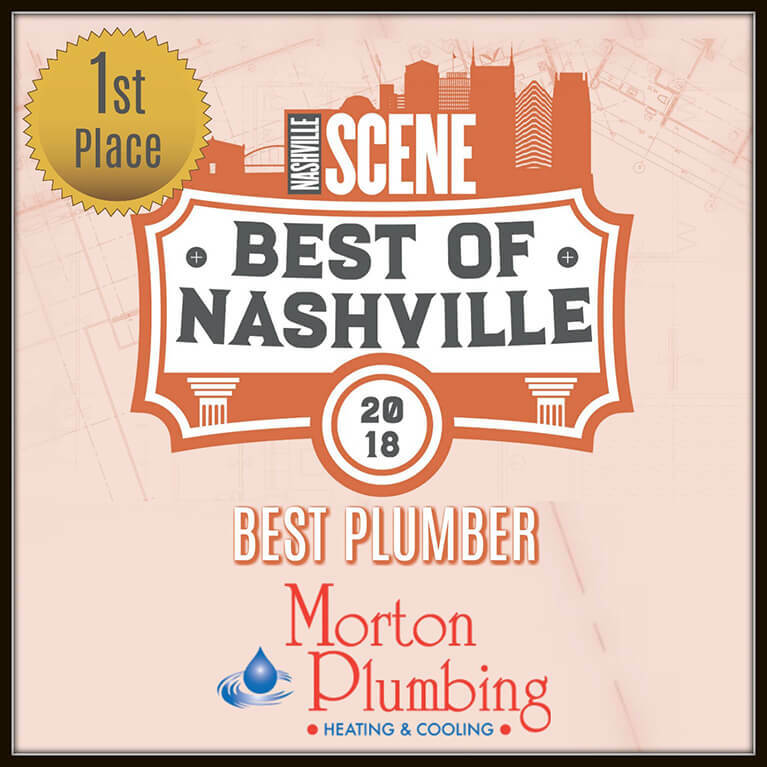 Our positive attitude, commitment to excellence, and desire to always improve, are what make us one of the fastest growing plumbing and HVAC repair specialists in Nashville, TN. Unlike other local companies, our team is not paid on commission. We do not try and upsell our customers. Our plumbers advise you on your options and let you make an educated decision, without sales pressure. We care about the quality of our work and are committed to your satisfaction. We value you as a customer and look forward to a long plumbing relationship. From simple repairs to complex installations, our plumbers and HVAC technicians provide exemplary plumbing, air conditioning, and heating services to homeowners and businesses in Middle Tennessee. We can help! Set an appointment for service by calling (615) 255-2527 or by using our online service request form.